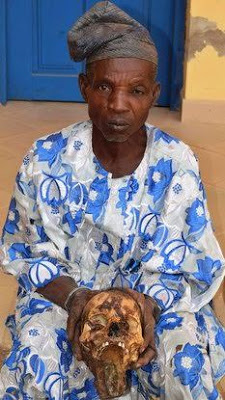 Idris Ajao, a 72-year-old man has been arrested on Friday by the Osun State police command for being in possession of a female human skull. He was arrested while transporting the human part to Iwo. 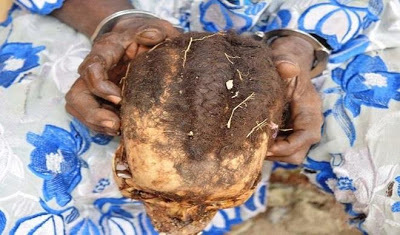 When interrogated, Ajao who claims to be bricklayer said a herbalist by the name Tajudeen Jawesola, had asked him to exhume skulls from graves in a cemetery in return for N10,000. He was caught while exhuming one of the corpse buried in the cemetery. He blamed his act on the devil, saying it was a "big mistake"